4 Billion of Us Are Still Offline, Will Free Internet Change That? One week and 46 years ago, the Internet was born. Or to be precise, its predecessor (or an earlier manifestation) the ARPANET delivered its first message, on 29 October 1969. Due to the creation of The World Wide Web two decades later, the Internet became the backbone interconnecting first the selected few and then eventually billions of people around the world. Although the amount of Internet users has grown staggering 806% since December 2000, shockingly still only 45% of global population has access to the Internet. So how do we get the rest 55% online? One answer to this is free Internet. Utopian? Not necessarily, since it’s actually closer than most of us think. Are Companies Ready for Microsoft Edge? I Fear Not. Open up IE 11 and type about:flags in the address bar. 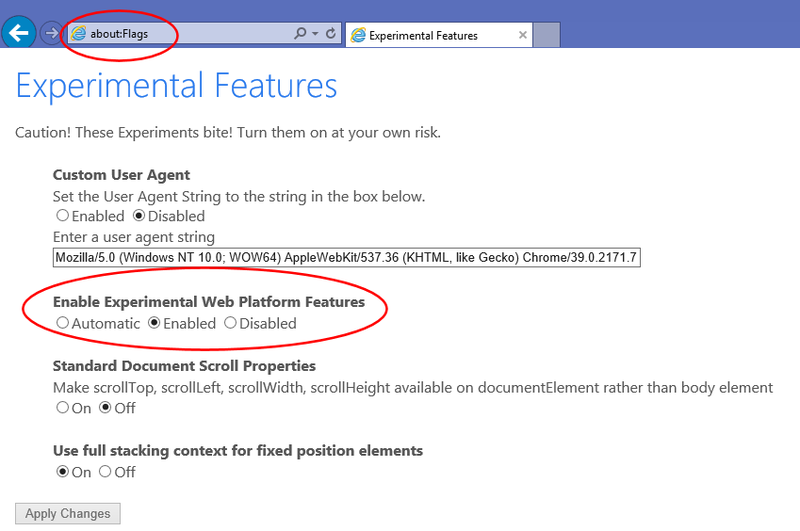 Switch “Enable Experimental Web Platform Features” from Automatic to Enabled. Apply changes and restart the browser. Several browser tests already show significant performance boosts in favor of the new engine, and so far I haven’t had any stability issues with it either, so there’s really no reason not to enable it already! Everyone who has had the pleasure of writing academic texts knows the importance of using proper referencing techniques and formatting. I did all the referencing to my Bachelor’s Thesis by hand, and with that experience still fresh on my mind, I decided to look around for better alternatives for my Master’s Thesis.